After instigating sweeping changes since taking charge of OMD, Dan Clays now feels the agency is heading in the right direction. By Alasdair Reid. It would be unfair to describe OMD UK as something of a slumbering giant of a media agency – though it’s true we came within a whisker of flirting with this notion in our Campaign School Reports earlier this year. In our defence, Dan Clays is partly to blame. 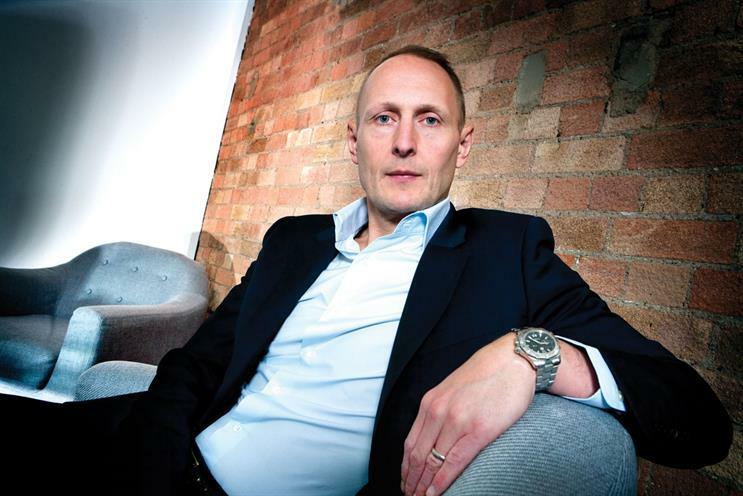 In the week he joined as the agency’s managing director in May 2012, he said, in an interview with this magazine: "The agency needs fresh momentum and direction. It needs to step out of the shadows." It was a searingly honest appraisal of what has been the third-biggest agency in the UK for many years. However, it resonates with those in the know, who understand that, once you start stripping out the contributions of the sibling agencies Manning Gottlieb OMD and M2M from its £760 million billings last year, OMD’s top-flight status soon looks shaky. So, 14 months on, has the agency found that new direction? "I’d like to think so," Clays responds, and points to the most visible manifestation of a new broom at work – his spate of recent hirings. In November 2012, he appointed Ann Wixley, the creative director at MEC, to a newly created equivalent role at OMD. In March, Clays lured Channel 4’s digital lead, Carl Read, to the post of head of digital after the departure of David Hompe. Then, last month, he recruited Hamid Habib, the managing partner of strategy at Havas Media, and Rian Shah, the head of strategy at Zenith Media, to be joint managing partners of strategy; and, within days, he had also announced that Toby Gunton, the chief digital officer at WCRS, had been hired as the agency’s first head of innovation. "On the people side, there was a lot of talent that needed fresh direction and, in other areas, we needed to make changes and bring in new people," Clays explains. "There was talent that needed fresh direction and we needed to make changes and bring in new people"
And, in that respect, perhaps the biggest shadow that OMD needed "to step out of" was the one cast by Steve Williams, who, for more than a decade, was its boss. He moved on in March 2012 to become the president at OMD’s sister agency PHD in New York. A generation of senior managers grew up alongside Williams – and, under him, the agency became a powerhouse of stability. But there comes a time in the evolutionary history of any organisation when stability can begin to feel like stasis; and, in that respect, Clays’ appointment has to be seen very much as a generational break with the past. There have also been some structural tweaks. Clays moved quickly to set up a new 18-strong management board – and says he is really pleased with how that’s panning out. Under that tier, the agency has been reorganised around five client-oriented hubs called "republics". And, indeed, the word surely betrays Clays’ deep heritage as a digital evangelist (the "R" word became a shibboleth for more radically inclined internet utopians during the first dotcom bubble). He bridles slightly when we ask him about this heritage. When his OMD appointment was unveiled last year, many commentators naturally assumed this was no more and no less than an admission by senior Omnicom executives that their flagship media agency needed to up its game to stay in touch with the industry’s digital pacemakers. Clays points out that he had grown beyond the digital silo at his previous agency, Arena Media (formerly BLM, where he acquired his reputation as a digital guru when he headed up its Quantum unit) – he was made its chief strategy and development officer in 2011. And, after all, he concedes later (slightly undermining his generalist credentials here): "Everything is digital now anyway." But Clays can also point to broad-based strategic initiatives on the product side. In January, the agency embarked on an ambitious, year-long research initiative called Future of Britain, which will seek to predict the future shape of British consumer society. It involves three phases: first, an in-depth qualitative and quantitative study into consumer values and attitudes, working in partnership with MMR Research Worldwide; second, an ethnographic study, exploring how people behave and think across a spectrum of household types; and finally, this autumn, the raw materials from phases one and two will be synthesised into a new OMD UK planning tool. The forward-facing nature of the project chimes perfectly with Clays’ credentials as a force for change at the agency – and he is, he suggests, the right man in the right place at the right time for OMD UK. He concludes: "One of the main narratives to come out of Cannes festival is the scale of the revolution we’re experiencing in marcoms. That’s one of the aspects of the job that I enjoy most – making people comfortable with ideas about what’s possible. I love it. I genuinely love it."